Burma Air Force known in Burmese as Tamadaw Lae have mercilessly bombed the ethnic Kachin without any discrimination, at a time when the world’s media is highlighting of how the Syrian planes are bombing its own citizens? The UNSC itself is discussing about Syria but seems to have forgotten about the Burmese atrocities and the holocaust. But the cat was led out of the bag when the BBC showed the above video and the Tatmadaw theory of “Lying the very concept of Truth,” with the justification of using only for supplying their troops came to be known by everyone else. So why is the world so eager to accept this rogue regime into their community? The raison d'être is simple because Burma as they construe is inching towards democracy and there is a virgin market to be exploited. How can one believes in the quasi military government even though its president in his New Year speech ask the people to trust in what the government said when they said one thing and did the opposite e.g. they were the ones that did not honor their own elections in 1990s as they are afraid that whoever won the elections will draw up the county’s constitution. It is understandable that China graciously allowed the Burmese airplanes to use its airspace to attack the Kachin because the oil pipe line will soon go through that area and China has all the time have supported the Burmese Juntas in its war against its own people. The Chinese companies are fat from the sweat and blood of the entire Burmese people e.g. the Letpadaun copper Mines an open pit mine too much detrimental to ecology and environment, not to mention the fast rail track and the oil pipeline from Arakan to Kunming. Hence it is not shy about its support especially at the UNSC and in any international forums. The Burmese people have known the Chinese mentality for long as it is but one of the very few neighbors (in Southeast Asia only the Vietnamese and the Burmese dared to fight the Chinese) who dared to take on the Chinese since the time of Kublai Khan. In the Burmese language they are called Ta Yoke because the Burmese consider the Chinese to be very mean. In fact seeing the economic gains it has allowed the Burmese Tatmadaw to use the Chinese territory to attack the Kachin from behind and forcing the Kachin to sign a truce in 1994. By this act China was able to destroy the fragile ethnic unity. Now is helping the Tatmadaw to wipe out the Kachin race once and for all. Dictatorial regimes support another dictatorial regime especially in exchange for economic gains are natural. But what surprise us, is the attitude of a great super power the US. It was less than two months after US President Barack Obama’s historic visit to Burma where at the Rangoon University he highlighted the Kachin’s case on Nov. 19. “ You now have a moment of remarkable opportunity to transform ceasefires into lasting settlements, and to pursue peace where conflicts still linger, including in Kachin State,” Where is the theory where President Obama claimed that America would extend a hand to the dictators if they would only unclenched their fist?. The Burmese regime has not only unclenched their fist but is attempting to deal a knock out blow to the Kachin? Even though we knew that the reestablishment of US-Burma relations in 2012 was the outcome of years of diplomatic maneuvering following the downgrading of US representation in Burma from ambassador to chargé d’affaires in the aftermath of 1988’s democratic uprising. But it was also the result of the US government’s dual-track policy of carrot- and-stick policy. As condition for normalizing bilateral relations, the US government made some fundamental demands: the release of all political prisoners (approximately 2,000, held in prisons across Burma in the beginning of 2012), inclusive dialogue with opposition parties and ethnic minorities, adherence to the UN non-proliferation agreements on nuclear weapons and the ending of any illicit cooperation with North Korea, greater accountability on human rights issues, and ending violence against ethnic nationalities. The US government also asked the Burmese government to hold free and fair by-elections. The Thein Sein administration responded with a total release of 651 political prisoners and signed cease-fire agreements with several ethnic armed groups: Arakan Liberation Party (ALP), Chin National Front (CNF), Karenni National Progressive Party (KNPP), Karen National Union (KNU), Karen Peace Council (KPC), National Socialist Council of Nagaland- Khaplang (NSCN-K), New Mon State Party (NMSP), Pa-O National Liberation Army (PNLA), and Shan State Army-North (SSAN), but did not deal with UNFC, the United Nationalities Federal Council of which Kachin is prominent member, clearly proving that it is practicing the divide and rule policy. Even now it is endeavoring to divide the cease fire groups who are economically inclined and those who really wants the political settlement but various tricks as so evident in Karen. It has held April by-elections successfully where the NLD won in 43 of the 44 seats. The Burmese government had seen the writings on the wall that the full participation of NLD and other political parties associated with ethnic nationalities boosted the government’s claim for legitimacy and credibility of its seven-step “road-map” toward democracy that initially began in 2003. So the Obama administration promised to reciprocate action for action, Derek Mitchell, Special Representative and Policy Coordinator for Burma, was confirmed as the new US ambassador on June 29. The US investment sanctions were lifted on July 11, which was followed by the suspension of import bans on goods from Burma on September 27. The lifting of investment sanctions enabled US companies and international financial institutions such as the World Bank and International Monetary Fund to begin reestablishing links with Burma. In reestablishing relations with Burma, the US has achieved four important things: the triumph of diplomacy over isolation; assurance that Burma has not engaged in any illicit engagement with North Korea on nuclear programs; reinforced its role as a symbol of democracy and human rights around the world; and a firmer foundation for its presence in Southeast Asia. In addition, the improvement of relations enabled the US government to reestablish the US Agency for International Development (USAID) mission to Burma, lend support for a normal UN Development Program (UNDP) country program, and facilitate travel to the US for select Burmese officials and parliamentarians. It also paved the way for US and Burma to cooperate on the recovery of Americans missing in action or prisoners of war from World War II. No doubt both governments try their level best in taking necessary steps to improve bilateral relations but the longevity and durability of bilateral relations between the two nations will be contingent upon how democratic transition progresses inside Burma. Now with the aerial bombardment especially jet fighters, the mask of the regime has been revealed and the primary concern now is whether political gestures from the Burmese government will lead to addressing ethnic nationalities problems, which remain the crux of decades-old conflicts in the country. If so what is the moral of the United States of America. Is there any hope of the Burmese government sign cease-fire agreement with ethnic Kachins, and will the signed cease-fire agreements with various groups lead to guaranteeing autonomy and led to the Second Panglong Conference? If so, will be the illegal Nargis Constitution of 2008 be amended to remove the inherent role of the military in politics, which currently guarantees 25 percent of seats in the parliament without election? Will all remaining political prisoners be released unconditionally as requested by the ABSDF? What about the Arakanese Muslims? Will they be resolved amicably? There are more questions to ask then answers. The United States and the United Nations has expressed concern over air strikes on Kachin. The United States said it was “deeply troubled” and UN Secretary-General Ban Ki-moon took “serious note” of the government army’s use of air power against its own people. What action does it follows with be the answer to the moral of US. We construe that it is high time for a change of US policy towards the Burmese Junta through strengthening the current measures, after fixing the loopholes and implementing multilateral actions. While the regional selfish money-makers are happy with blood money from a hellish situation in Burma, the West should not let their hands be stained with blood after leaving their businesses in Burma where Generals rely on the vital economic sources such as oil and gas extraction. If the Obama administration wants to see the generals, really to unclench their fists, the crucial and vital sources energizing the regime must be completely cut off. 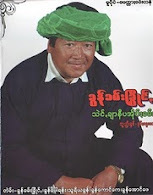 Only then, the hard-line Generals control by Than Shwe would release their grips on power, permitting dissidents to cry out for freedom and democracy. Care should be taken about ASEAN has been undermining the US and other Western measures against the Junta over the years. ASEAN and other regional countries have been "black knights," saving Burma's military regime from Western punitive measures. A multilateral approach is needed and crucially the cooperation from the regional countries would lead to significant progress in shaping Burma's democratic future. We strongly construe that Washington needs a better review of current measures to redefine effective policy enhancements. In fact, Tatmadaw is a coward for in spit of superior strength in terms of men and fire power, yet it still uses air power and now realizing that their attempts at propaganda were failing it had grudgingly admitted. It raises questions about America’s invitation to Burma to observe annual Cobra Gold exercise in the region next year and the Pentagon’s commitment to provide “non-lethal” training for Burmese officers focusing on humanitarian assistance, military medicine and defense “reform.” The decision to resume military-to-military engagement at this stage is not a wise one. Last, but not the least is what about the champions of democracy and human rights, the 8888 Generations and the Lady? Why so silent. Not that we believe that she is satisfied with a kiss from Obama?